Linux – one of the most used platform after Windows and MacOS and used by millions of people coming from different professions. Its becoming favorite OS for web developers, web designers, animators and many more. The major reason behind popularity of Linux is first of all its free to use and most of the software build for Linux are free too. Another major reasons are Linux are free from viruses and can be used freely without having any tension of losing the data because of virus attacks and malware. As I told you above, its becoming favorite OS for many professionals because of availability of various software freely. So, in this article, I decided to come up with best development tools available for Linux platform that you can download and use it for free. All these best Linux development tools are unique in their functionality and can be very useful for web developers out there who love to work in Linux platform. If you are the one who use Linux platform, here’s the collection of Top 10 Best Web Development Tools for Linux. 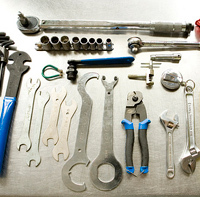 If you know any other tool that you feel suits best in this list, please be kind and share with us in the comments section below. 1. Bluefish : Bluefish is a powerful editor targeted towards programmers and webdesigners, with many options to write websites, scripts and programming code. Bluefish supports many programming and markup languages, and it focuses on editing dynamic and interactive websites. 2. 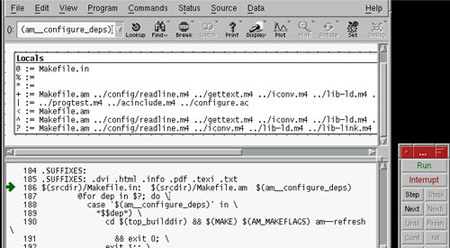 Make : Actually every file in the chain may not need to be compiled. Make looks at the time stamp for each file in the chain and compiles from the point that is required to bring every file in the chain up to date. If any file is missing it is updated if possible. Make builds object files from the source files and then links the object files to create the executable. If a source file is changed only its object file needs to be compiled and then linked into the executable instead of recompiling all the source files. 3. KDevelop : KDevelop is a free, open source set of libraries that can be used as a foundation for IDE-like programs. It is programing-language independent, and is planned to be used by programs like: KDevelop, Quanta, Kile, KTechLab … etc. 4. 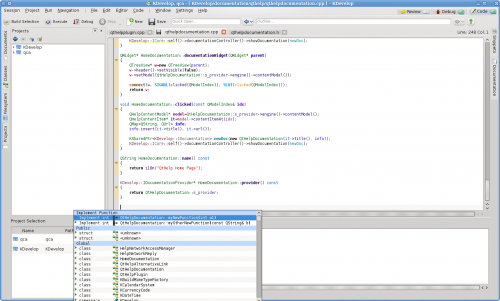 Anjuta DevStudio : Anjuta DevStudio is a versatile Integrated Development Environment (IDE) for software development on GNU/Linux. It features many advanced facilities such as project management, application wizards, interactive debugger, source browsing etc. 5. 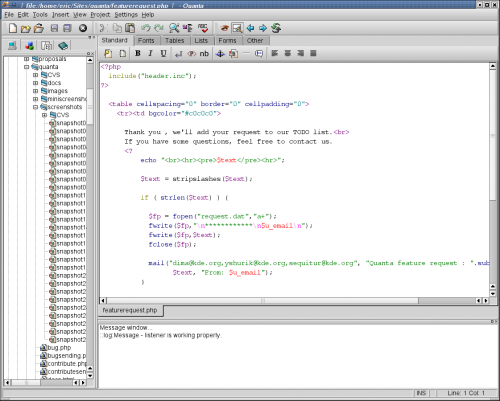 Quanta Plus : Quanta Plus, originally called Quanta, is a web Integrated development environment (IDE) for HTML, XHTML, CSS, XML, PHP and any other XML-based languages or scripting languages. 6. GCC : The GNU Compiler Collection includes front ends for C, C++, Objective-C, Fortran, Java, Ada, and Go, as well as libraries for these languages (libstdc++, libgcj,…). 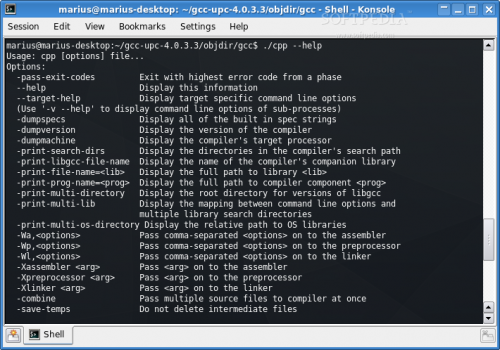 GCC was originally written as the compiler for the GNU operating system. 7. 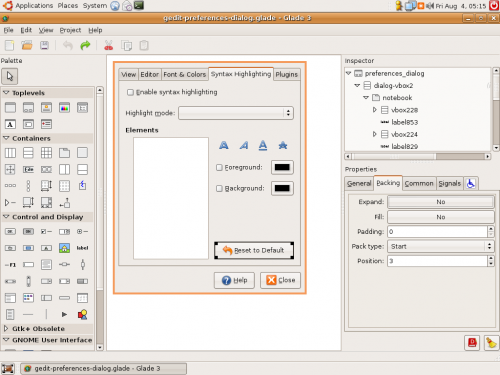 Glade : Glade is a RAD tool to enable quick & easy development of user interfaces for the GTK+ toolkit and the GNOME desktop environment. The user interfaces designed in Glade are saved as XML, and by using the GtkBuilder GTK+ object these can be loaded by applications dynamically as needed. By using GtkBuilder, Glade XML files can be used in numerous programming languages including C, C++, C#, Vala, Java, Perl, Python,and others. 8. 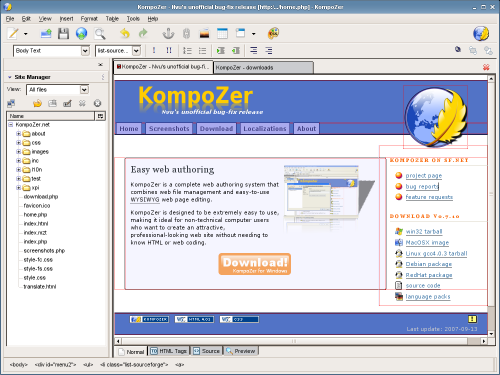 Kompozer : KompoZer is a complete web authoring system that combines web file management and easy-to-use WYSIWYG web page editing. 9. 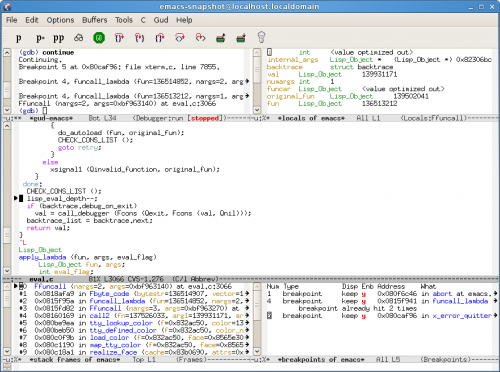 GDB : GDB, the GNU Project debugger, allows you to see what is going on `inside’ another program while it executes — or what another program was doing at the moment it crashed. 10. Eclipse : A project aiming to provide a universal toolset for development. 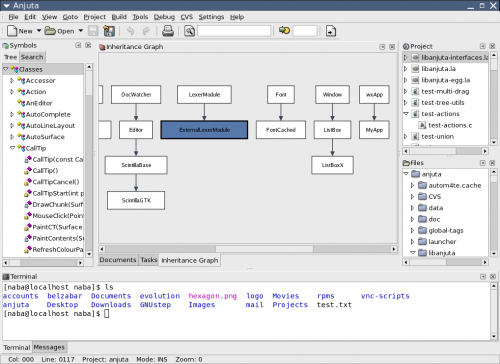 Open Source IDE, mostly provided in Java, but the development language is independent. 11. 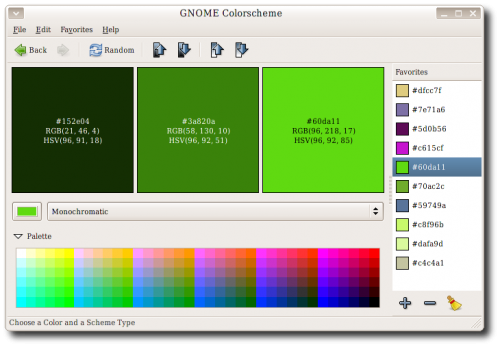 Agave : Agave is a very simple application for the GNOME desktop that allows you to generate a variety of colorschemes from a single starting color.